PHUKET, THAILAND - NOVEMBER 28, 2017: Emitates Boeing 777 A6-EPC turn runway before departure from Phuket airport. 4k00:16PHUKET, THAILAND - NOVEMBER 28, 2017: Emitates Boeing 777 A6-EPC turn runway before departure from Phuket airport. 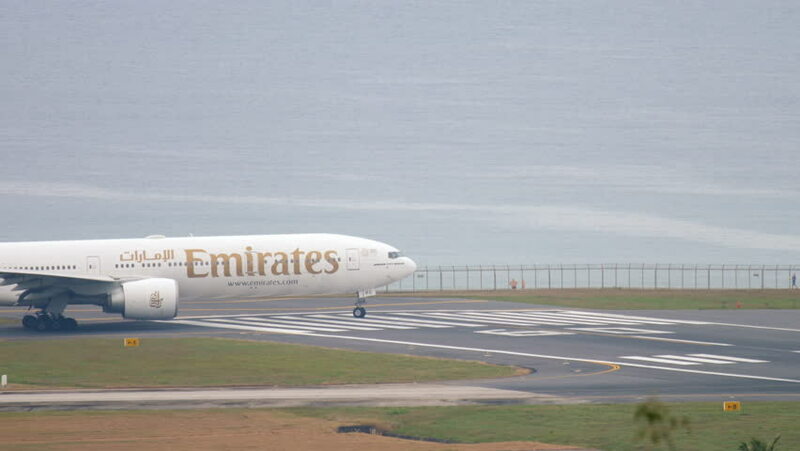 hd00:13Hong Kong city, China - March, 2019: passenger airplane driving on airport runway for taking off from departure terminal.